Many tourists planning a vacation to South America for the first time ask themselves questions about how understanding of culture and people’s lives in harmony with nature could look good. Maybe you are one of them too. You may have heard some stories from friends and acquaintances, or you’ve read or read about it on TV. It will only be really interesting if you can collect these breathtaking impressions of a Perú round trip. There are a lot of questions to ask when you are about to land in one of the world’s megacities. OK, here is Lima as an example. In this article, we want to highlight an important topic that can be very rewarding for you the first few days in a city like Lima. How does this partly chaotic traffic system in Lima work? 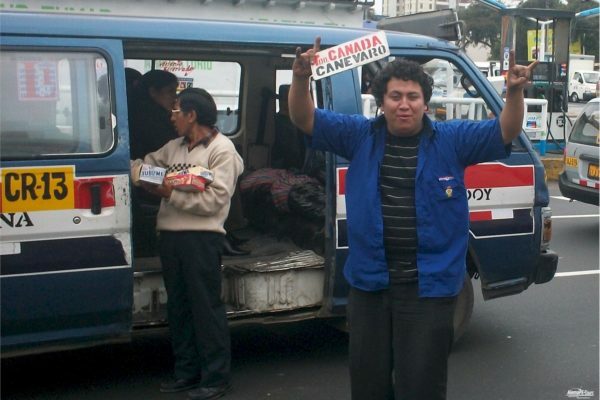 Lima has an idiosyncratic traffic system. What challenges await you here? Zebra or pedestrian stripes do not give pedestrians priority, as they are known from Germany, Austria or Switzerland. The first rule is therefore always: Motor vehicles always have priority, so it is always worth a look more to the left and right to throw traffic lights can be red, but cars pass the intersection. Not always a red traffic signal means stop! But on the contrary. If one finds a traffic cop in the middle of the intersection, then one pays attention only to the signals of the policeman. There is often the situation that the vehicles are waved preferred in the rush hours. The same is true, of course, when the pedestrian traffic lights turn green. This is usually observed on the major roads. If you want to explore other parts of the city, you can travel quickly and, above all, cheaply. Taxis are like sand by the sea, which is not always the safest option. Many taxis are not registered, but are also constantly monitored. As we recommend the so-called UBER taxi, which is called by means of an app on the Smatphone and the price is already determined during the ordering process. So there are no nasty surprises if the taxi driver wants to have more later. From your location, you choose your destination and the app will tell you the driver, their type of vehicle and the number plate, as well as the name of the driver. The price is set by the app and is usually even different in that the UBER taxis are cheaper than the rest. Colectivos (shared taxi) are on selected roads and routes. They drive certain roads up and down the whole day. However, it is not legal, but it is not so accurate here. You tell your driver your destination and pay for it in the course or at the best shortly before the end of the ride. A simple and cheap alternative to taxis. Then we still have the station wagons that have a real adventure to offer the Lima. You are in small, often old combos for max. 10 people, which always deliver small races with other station wagons. The fastest who finishes his route may feel like a winner. Often it is not really amusing, and in the heavy traffic of the city you can get to your desired destination quickly, but this way is not completely safe and so minor accidents happen daily. Even at night you should avoid especially as Ortsunkundiger this station wagons, as many secret paths are taken. Still, it can be a lot of fun and is one of the cheapest and fastest alternatives. This is the still quite new fast bus system from Lima. Since Lima still has no subway system, there has been an aboveground variant since 2010, which will take you quickly through the city. It can be a bit annoying at peak times, because literally everything squeezes in, which only fits into it. You should not have claustrophobia. 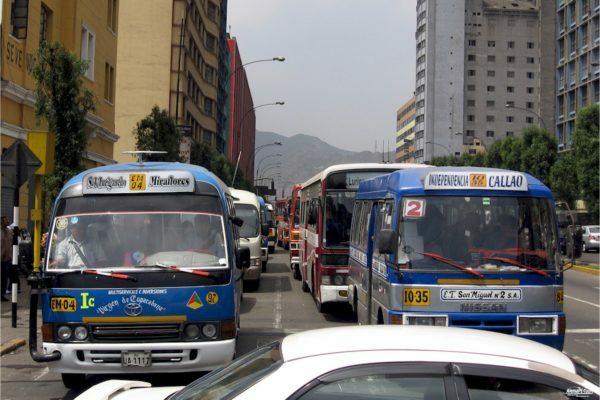 The Combis and Mikros are the buses that clog most of the streets of Lima while someone is waving their arms around the track along the way. 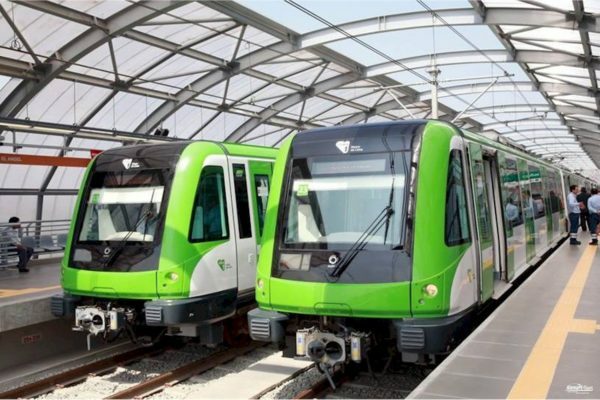 Inaugurated in 2010, the Metropolitano was the first rapid transit system in Lima. It’s a fast transport system that seems strange to a foreigner. The stops of the express bus system look like subway stops, because you have to pay the fare before boarding on a raised platform. The platforms have multiple entrances with automatic opening doors as in a subway, but but rise in large, articulated bus. 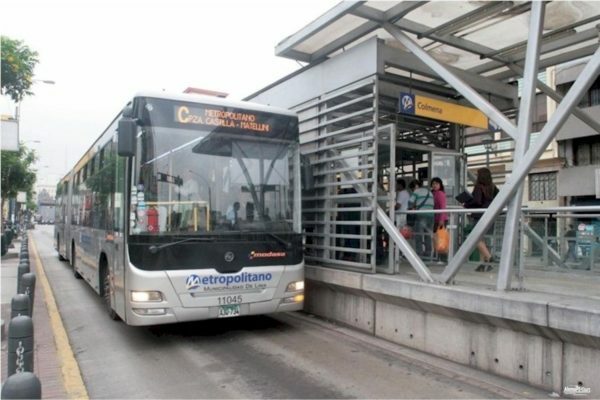 The Metropolitano connects 12 districts of Lima from Chorrillos in the south to Independence in the north with its own buses that exclude regular traffic and halve travel time for commuters. Each terminus also serves as a terminal with shuttle buses that travel to more remote districts. The buses with the maximum capacity of 120 leave every 5 minutes from the main stations at peak times. Around 650,000 commuters use the Metropolitano every day. You first buy an electronic card for 4.50 soles, which you can fill at the machines in each station. A single fare is 2.50 soles, but you can give your card as much credit as you need and avoid having to queue up the next time you ride to recharge the card. The machines only accept cash and coins – no credit or debit cards. As soon as your card has a credit, you can enter the bus stop. Place the card at the access turnstile on the validator and pass this access control to the stop. Our tip: When you recharge your Metropolitano card, be sure to select the Print receipt option (“Receipt”). If the card did not register the transaction, you can go with the receipt to the customer information and have it charged there to solve the problem. That happens every now and then. 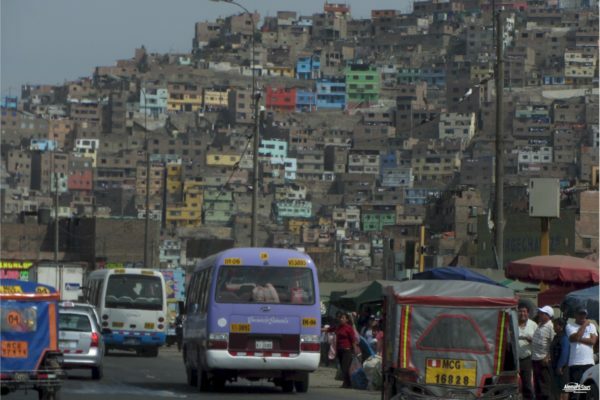 In Perú’s capital, Lima, the country’s main transportation hub, new approaches to solving heavy traffic and air pollution have become increasingly urgent. Due to the large number of private minibus companies, the major traffic arteries are often blocked, because every second new buses arrive at the stops and on the tracks is actually held everywhere, where an arm moves in the air, because that is the unmistakable sign, that you want to be taken. In 2003, Lima’s first metro line with a length of 21.5 km was built. The line connects Villa El Salvador in the southeast of the capital with the city center and allows many residents of the state capital significantly shorter transport times. Planned and already under construction are part of the further planned 5 lines of the Metro. At the request of the government, work on the second railway line has recently been resumed and will be completed in 2018/2019. The second line will cover the route from east to west and thus complete the tram network in all four directions. As a ticket you get at the outlets or machines rechargeable cards in the Schackkartenformat that contain a transponder. You can always recharge the cards and at the entrance barriers then the corresponding travel costs are deducted. As long as no large coverage with several lines exists, this still works in this way. We are curious how the tariff system will be transformed with the further expansion of the Metro.